SRI 990 Analogue Positioner. 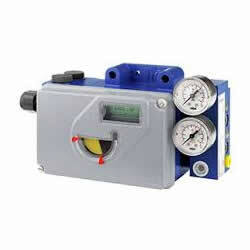 The SRI Analogue Positioner operates from an input of 4 to 20 mA and is designed to operate pneumatic valve actuators. It offers an easy adjustment by means of switches and potentiometers. The modular structure of this positioner series enables conversion from an analogue to an “intelligent” positioner by easy exchanging the electronics. Our team are here to help. Call an expert now to check availability or answer your technical questions. Alternatively you can complete the form on the right and an expert will be in touch. © 2019 Multiplex. All Rights Reserved.